Fermented food and drink is the next big thing. Don’t believe us? Just take a look at the rising popularity of kombucha – the exotic-sounding, sparkling, fermented black or green tea drink – which has become a fast favourite of celebrities including Madonna, Orlando Bloom and Gywneth Paltrow. 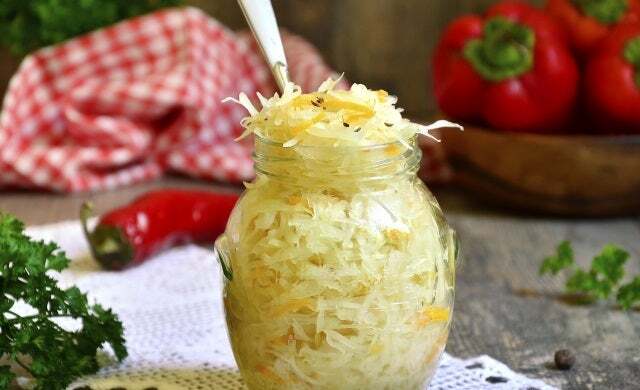 From kefir (fermented milk) to sauerkraut (fermented cabbage), miso paste (fermented soybean) and Korean kimchi (fermented vegetables), a love affair of live cultured food and drink has begun as health-conscious consumers buy into the supposed health benefits these products provide. Fermented food and drinks are those which have been through a process of lactofermentation – scientifically known as zymology – where natural bacteria feeds on the sugar and starch to create lactic acids. These acids then produce beneficial enzymes, b-vitamins and probiotics which are alleged to aid digestion and improve the overall health of your gut. According to research from Innova Market Insights, drinking yoghurts and fermented beverages accounted for 8.5% of total global dairy launches in the 12 months to October 2015; the highest figure since 2010. The research also suggested that “rising interest in yoghurt-style fermented drinks has brought products such as kefir, lassi and ayran into mainstream markets” which indicates the potential to create a fermented yoghurt or beverage business of your own. Another “darling” of the fermented health scene is live tea product kombucha. The bottled sweet-sour tasting drink has already received major press attention as ‘one to watch’ in 2016 and a flurry of new companies have launched in the UK with their own versions such as HappyKombucha and Love Kombucha. While you’d have competition launching your own kombucha brand, demand looks set to grow. What’s more, there’s a history of businesses which have found success from fermented food stuffs. Brands such as Yakult and Lea & Perrins Worcestershire Sauce have become household names using the fermentation process (surprisingly Lea & Perrins is made using fermented anchovies). And with the fermentation process actually much easier to do than it sounds, it’s now the ideal time for aspiring entrepreneurs to start their own fermented business. There are a number of different food and drinks that you can ferment and turn into a business. The fermented milk market is a potential option but one that a cluster of start-ups are beginning to muscle in on. For instance UK start-up Bio-tiful Dairy; which specialises in Kefir-based yoghurt drinks, has already secured deals with Ocado, Wholefoods and River Organic – despite having recently faced rejection from high-profile investors in Dragons’ Den. Drinking vinegars such as apple cider vinegar are another possible ‘in’ for those looking to enter the space. Apple cider vinegar, made from fermented apple juice, has amassed a cult-like following due to a variety of claims which suggest it helps combat sugar cravings and keep you fuller longer.With the mobile food industry booming in the UK, you could also look to launch a fermented food street food pop-up business or fermented food van. Street food businesses are extraordinarily lean, and you can start trading on an initial investment of a few hundred pounds. View our step-by-step guide to starting a street food business here. Another potentially lucrative business opportunity would be to start a fermented food subscription box company. In the US, start-up BAO has already achieved major growth for its fermented food range and food box delivery service. It specialises in over 33 products including ‘raw slaw’ and ‘fresh kombucha’. For business inspiration, you can find a list of fermented food stuffs here which show just how varied and exotic the industry is and where you could take it. “As consumers and media in the UK are fast discovering fermented foods for themselves one cannot yet call it mainstream, but that is exactly the type of field that that most interesting business start-up ideas prosper within! Who can argue that the combination of creating your own business and making the world a better and healthier place is not the winning one? “Ironically, the challenge with making and promoting fermented foods is which of the numerous health benefits to emphasise, as their perceived list is so long. For example with starting a Kefir business, you would need to consider whether to solely focus on the prime benefits related to gut health and the immune system, to go down the currently popular ‘high in protein’ route, or to promote that fact that it is ‘naturally low on lactose’.